Background story: Over the years, my research career has been supported by various non-Federal organizations, in particular the American Heart Association (AHA) and Susan G. Komen for the Cure (Komen). Due to the generous funding of research projects and fellows by the AHA and Komen, my research group regularly participates in and raises funds for the annual Triangle Heart Walk and the Komen Triangle Race for the Cure®, respectively. What makes each of these such special annual events? From my perspective, it is a combination of being around “survivors” (either heart disease or breast cancer), the camaraderie of the lab group participating together, and giving back to both organizations. However, my personal reasons for participating in these events are two-fold: first, to support the organizations that help fund my research; and second, to remember my parents (they died from cardiovascular issues) and to honor a sister (breast cancer survivor). 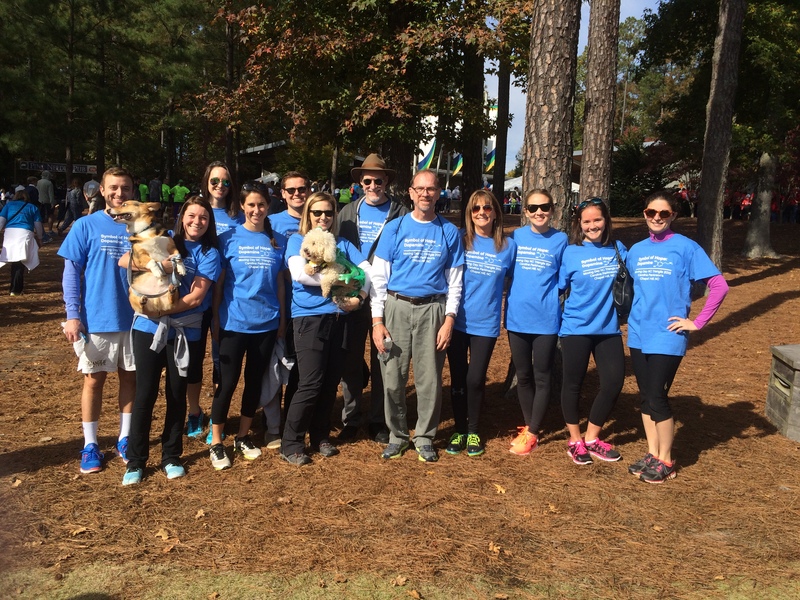 Moving Day® NC Triangle was Saturday, October 31, 2015 at the Koka Booth Amphitheatre in Cary, NC. 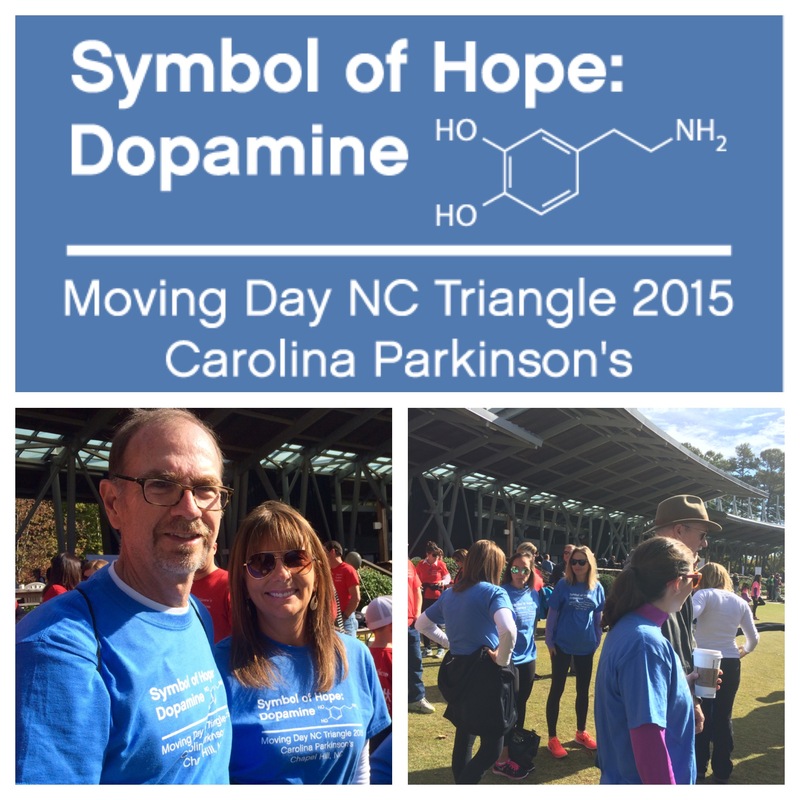 Walking for Parkinson’s: Moving Day was a morning to move and a time to be moved: Unlike the AHA and Komen events described above, my participation in Moving Day was personal. I have Parkinson’s and I am trying hard to support numerous Parkinson’s organization, continue to stay focused on Parkinson’s advances, and remain committed to helping others with Parkinson’s through outreach/education/blog activities. Thus, Moving Day was both important and very personal to me. I did 3 things for Moving Day: (1) formed a ‘team’ named Carolina Parkinson’s; (2) wrote lots-and-lots of emails trying to raise awareness of Parkinson’s, and yes, solicited for donations (thanks to many friends, family members/loved ones, colleagues and students we reached our team fund-raising goal); and (3) recruited team members to walk with me. 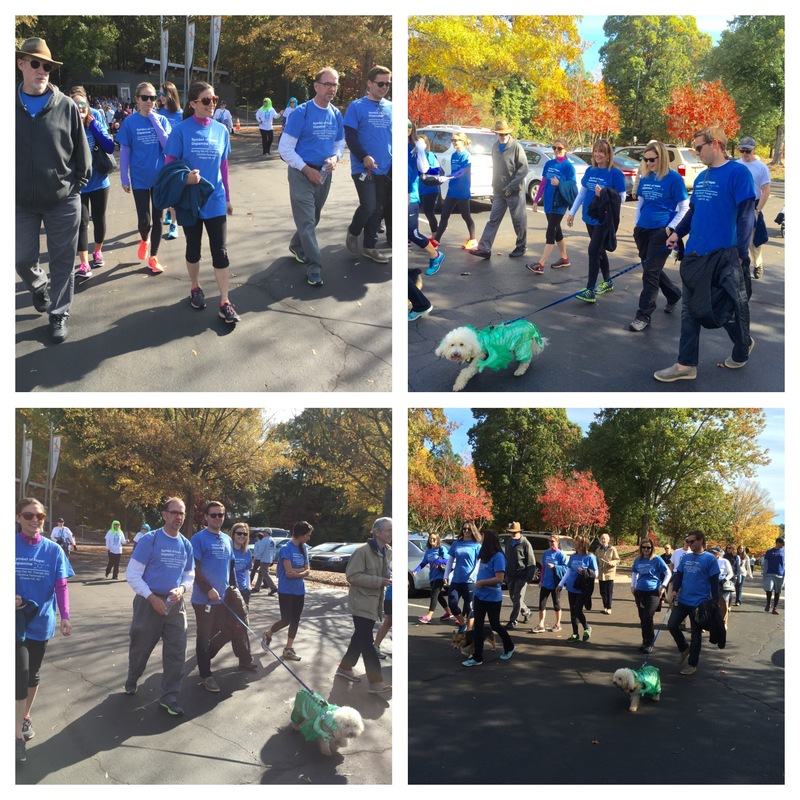 Below are photos of the team, team T-shirt and the walk. A walk and a moment of self-reflection: Michael J. Fox once said, “Nobody would choose to have a disease visited upon them. 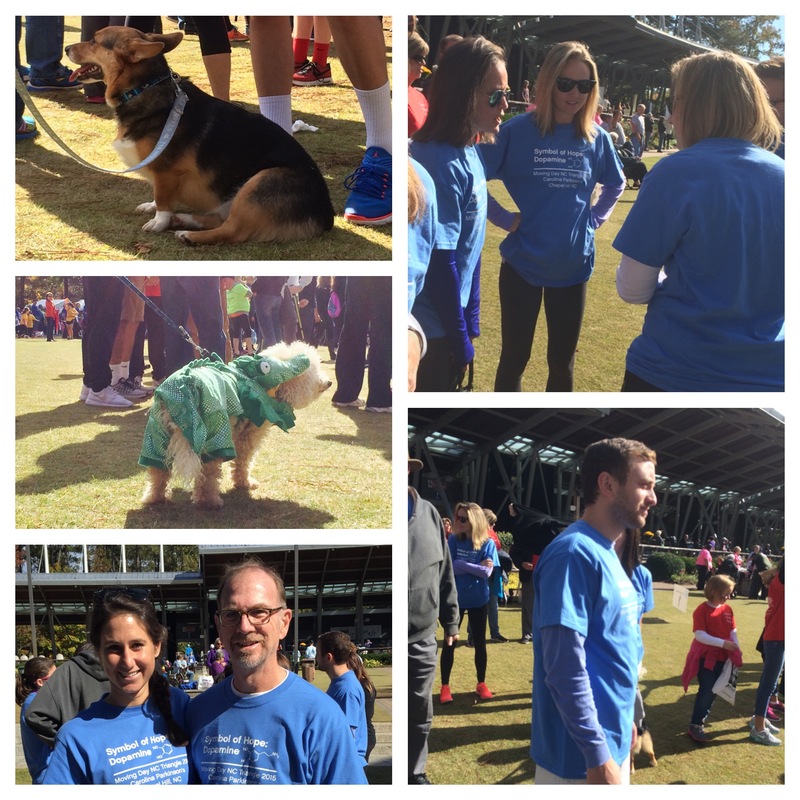 Still, Parkinson’s forced me to make a fundamental life decision: adopt a siege mentality – or embark upon a life journey.” Moving Day preparation went smoothly (fund raising, recruiting teammates to walk and the team T-shirts arrived in time). The Day itself was inspiring; more than 1200 people and almost 90 teams participated. The Day itself was simply a beautiful Carolina blue sky fall day. The Day itself put me with a team of friends who came committed to recognizing Parkinson’s and to demonstrate their care for me; a moment in my life to remember, to cherish, to be thankful. The Day itself was somewhat of an awakening; to walk next to 100’s of individuals with Parkinson’s and their army of supporters was both a joyous and sincere moment. Joyous because it was an event fueled by love and kindness. Sincere because it was a public day to reflect upon our disorder and to bring solidarity to acknowledge and support one another. The Day itself was a 1st time for me as a participant with Parkinson’s; I missed some of the day’s events and opportunities to interact with my teammates and others (a poorly planned trip by me). Thanks to everyone who donated to the team (both those who walked and those unable to be present) and thank you so very much for your constant support, friendship and love! I have already begun planning for Moving Day 2016.